Access to clean water and sanitation changes lives drastically and in several different ways. Tell us what #WaterGives you! #WaterGives 13 year old Tahiana the ability to go to school. With access to clean water, he'll focus on his education which can break the cycle of poverty and provide the hope for a brighter future. #WaterGives the opportunity to earn an income. Now that Shelly has access to clean water, she grows and sells tomatoes to provide for her family. #WaterGives safety and protection. With a nearby water source, girls like 10 year old Lina no longer have to walk in dangerous conditions to collect water that expose them to the risk of injury and assault. #WaterGives kids the opportunity to be kids. When boys and girls have access to clean water, they can spend more time with family and playing with friends - something every kid deserves. #WaterGives hope for a better livelihood. "The well-being and health of my boy and all the children in my village is my first motivation for being a local technician", Clement, 26 years old and parent of 3 year old Herve. #WaterGives more time for what matters. 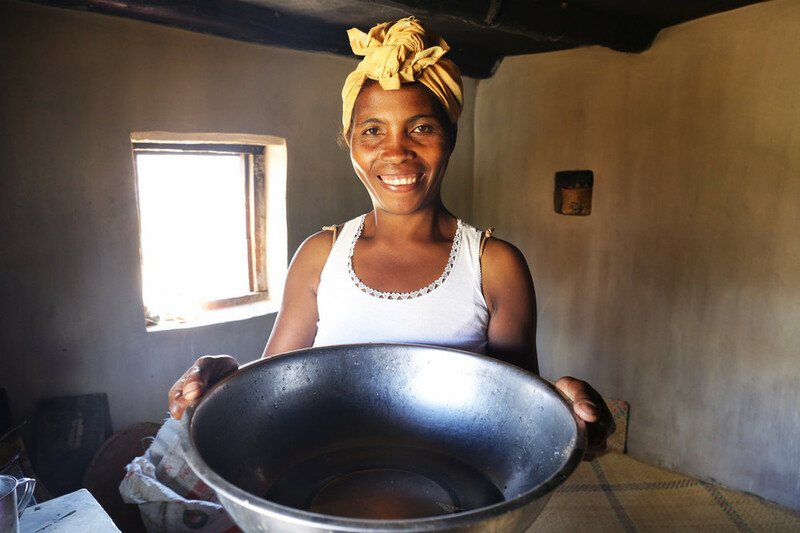 With access to clean water, mothers like Veronique can focus on family, opportunity and health. #WaterGives the chance to grow and develop. The lack of access to clean water can lead to undernourishment, which can consequently cause stunting, an often irreversible matter that prevents children from growing or developing properly. Children need clean water to grow.